I've been taking breaks during this Sasuke off-season and only posting when something has accumulated enough to write about. 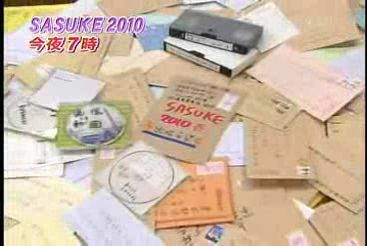 Since my last Sasuke related update post there's been a couple of things (older update here). Well it's now July and several upcoming events are highly anticipated by the Sasuke community. One of the bigger ones is the opening of the second Muscle Park. 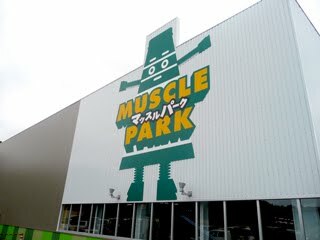 Monster 9's theme park Muscle Park (specifically the one in Odaiba/Tokyo) will now have a sister park up north in the prefecture of Hokkaido 北海道 in the city of Chitose 千歳市,. According to a press release on the Monster 9 website the official opening will be Sunday, July 18th. Still we have no idea who will be a part of the Grand Opening celebrations. I would strongly suspect that they would invite the first champion of Sasuke Kazuhiko Akiyama 秋山 和彦 simply because this is where he is from (prefecture wise though he lives further north along the north coast). Other possible Sasuke people could be Makoto Nagano and Yuuji Urushihara but we haven't heard anything as to specifics of who will be there. We also have no idea if they will debut the new Sasuke Park at that time. All-Stars Toshihiro Takeda 竹田敏浩, Makoto Nagano 長野誠, Katsumi Yamada 山田勝己 and Shingo Yamamoto 山本進悟 posing with an executive during the Grand Opening of Hotel ZeroCity in July, 2009 ©Tojo Design Architects, Inc. Speaking of Nagano, the One Year Anniversary of the opening of a hotel and restaurant run by the President of Takasui (Nagano's employer) - Hotel ZeroCity and the Restaurant Konpiramaru (which obviously is named after Nagano's boat). The actual day of the anniversary is Monday, July 5th. At this time it is unclear if there will be an actual celebration and if Makoto Nagano will be involved in some way. No updates in any of the sites have been posted other than that the anniversary celebration was coming up on the 5th. As I mentioned before, two very high profile Trials are already being planned. The first is the new Trials being created by Golden Sun (the new broadcaster of Sasuke in Taiwan). The deadline for entries was yesterday, July 1st. So far the only information we have is that it's a closed set and entries are limited. As more information is found I'll be sure to post it. Meanwhile back in the United States the video application process continues for American Ninja Warrior 2. The deadline was supposed to be June 30th but they extended it again, changed the date of the trials and still have not decided on the specific location (or at least posted) other than Los Angeles, California. Eager hopefuls in both countries are ready to take on their compatriots for a chance to compete with the rest of the Sasuke competitors in the fall. At last post ANW2 will be August 7-9, 2010. Meanwhile back in Japan no official word is out yet for Sasuke 26. While we can basically assume with the organization of ANW2 and Taiwan Sasuke Trials and the admission from M9 that they have no plans to cancel the show here in Rambling Rican we will await the official announcement from M9 as to the fate of Sasuke 26. Rumors are placing it around September, 2010 as a taping date. In the meantime feel free to read about Makoto Nagano's appearance in the TV Show on TV Asahi and the show is called Densetsu 伝説 (which is short for Ogon Densetsu 黄金伝説 which means Golden Legend).